A series of 53 mosaics will be installed at the Santa Fe Drive undercrossing. ENCINITAS — The City of Encinitas is now accepting applications from Encinitas high school and college age students and adult artists to participate in a city-funded public art project to create mosaic panels for permanent installation. 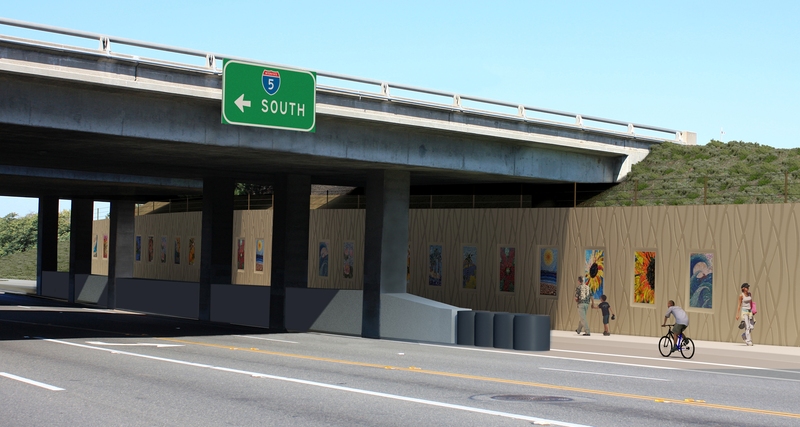 As part of the Caltrans North Coast Corridor Program, the Interstate 5 undercrossing, located at Santa Fe Drive, has been redesigned and a series of 53 mosaic panels will be installed on the north and south walls. The mosaic panels will be created by Encinitas students and adult artists and reflect the culture of the five different communities of Encinitas. The artistic theme is “Encinitas Up Close,” depicting local flora and fauna, including people, abstract or representational in form. The mosaics must be dynamic and distinguishable from a distance. Interested individuals are invited to attend an Applicant Workshop on Wednesday, October 3, 6:00-7:00 P.M., at the Encinitas Library, located at 540 Cornish Drive, Encinitas, CA 92024. The project will be discussed in greater detail and city staff and members of the Commission for the Arts will be available to answer questions. Thursday, October 25, 2018 at 4:00 P.M. to the City of Encinitas Parks, Recreation and Cultural Arts Department. 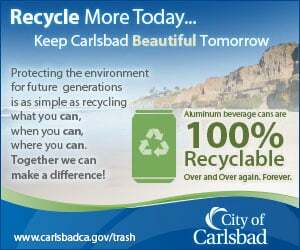 For more information, please visit the project website: www.encinitasca.gov/publicart or contact Arts Program Administrator Jim Gilliam at (760) 633-2746 or jgilliam@encinitasca.gov.